Back in the day, marine oil spill cleanup would be next to impossible due to the lack of apt and effective solutions. Thankfully, though, with the aid of Oil Solutions International’s marine products you can easily clean up oil from any body of water to avoid any possible environmental impact. We offer our three different products for marine oil spills and each is designed for different sized spills. Our Oil Solutions Spray 10 Oil Cleaning spray is designed to clean up smaller localized gas or oil spills on the surface of water. It works effectively to remove spill sheen from the surface of water and is perfect for overspills from boats while on the water. 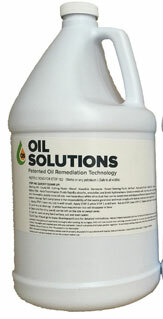 In addition we feature our Oil Solutions Powder Cleaner for bigger spills. Apply as much powder to the affected area of the spill and watch as the microencapulsation renders petroleum to harmless rubber which is listed as landfill-safe by the EPA. Finally as a preventative measure we offer our Eco-Socks which are great to keep in your boat bilge in order to stop the leaking of oil and gasoline at the source and are also listed as landfill-safe by the EPA. No matter which of our products you choose to use know that Oil Solutions makes only the most environmentally conscious products to leave as little impact on the ecosystem as possible. For more information about Oil Solutions’ products or the company itself please feel free to contact us and we’ll get back to you as soon as we can.